Today sees the release of the entry into the next weekends ADAC N24 Qualifying race and as promised by the Aston Martin racing President David King last month, it will be a single all guns blazing assault at the title come the main event. 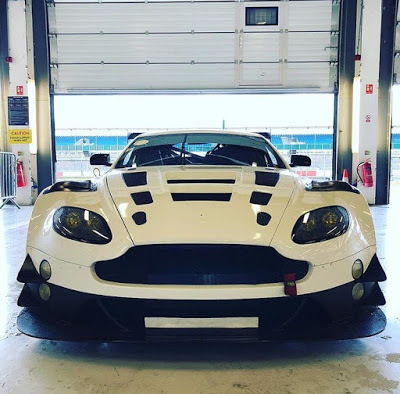 This week we saw AMR factory driver Maxime Martin shakedown an evolution of the venerable V12 Vantage GT3 (above) at Silverstone. This is chassis #32, a car owned by Aston Martin Racing and a car that last saw competitive service with Paul Dalla Lana and co at the Daytona 24 last year. 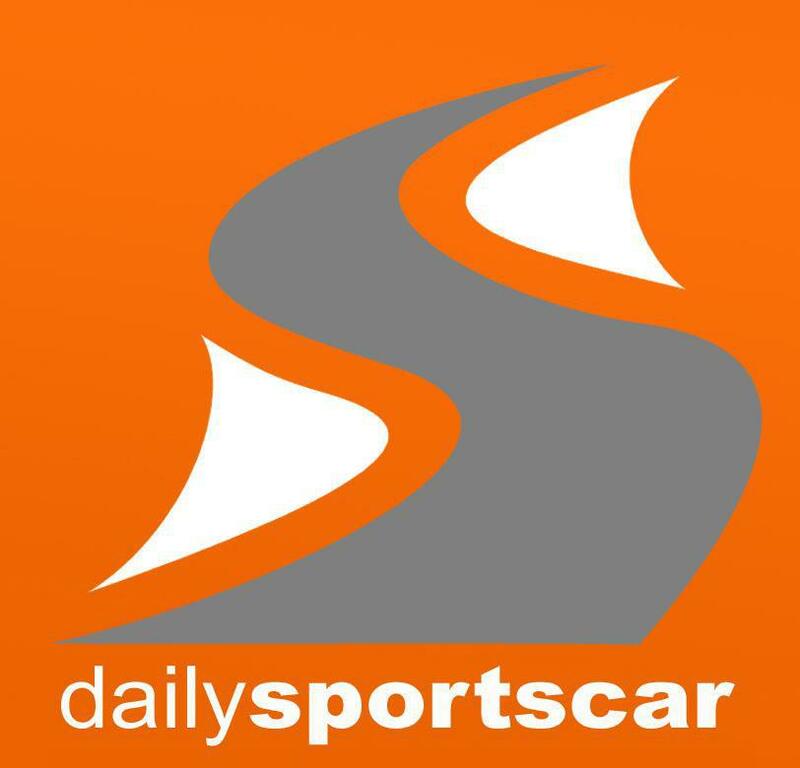 For this years pre Qualifying race (and the main race later in May) will see #95 AMR WEC drivers Darren Turner, Nicki Thiim and Marco Sorensen take to the infamous Green Hell circuit for the first time in two years in a GT3 alongside AMR co driver Maxime Martin in the top flight SP9 class. 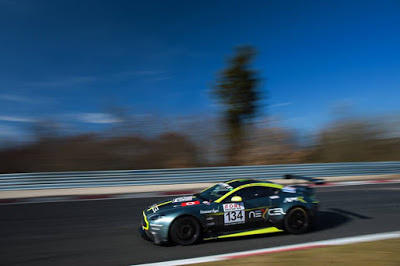 Further down the order we see the highly experienced Nordschliefe driver Peter Cate return with (presumably) the Aston Martin GT8 alongside former British GT GT4 champion and F4 racer Jamie Chadwick as well as former Hyundai racer Jens Dralle as part of an Aston Martin AMR Performance Centre entry in the SP8 class. 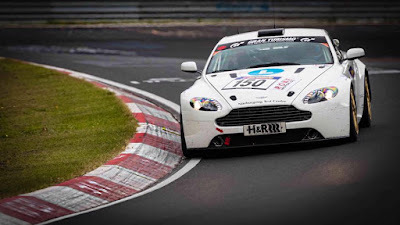 Only last year did Chadwick earn sufficient signatures of her licence to earn herself a Nordschleife GT3 drivers permit aboard a (then) Aston Martin Test Centre N24 Vantage.